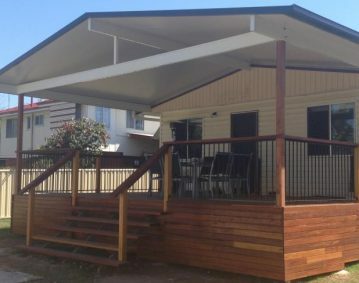 Homeshield Patios and Decks are your local hands on builder to take care of your new insulated roof North Brisbane. Tailored to suit your needs, Homeshield will build a patio or deck that will match your home perfectly. Whether it’s for the front, back or side of your home, the Homeshield team is here to help. For your free in-home design consultation give us a call on (07) 3216 2799 or enquire online now. When looking at building a pergola or patio area, the first place to start is by selecting your style. A gable design, to suit the gable on your house and allows for a better flow of your roof line. This style also ensures that your new roof looks like it has been a part of the house forever and not a last minute add on. Add value to your home and incorporate the new with the old which can be done well with the right design. Once the design is right, the rest will be easy which is why Homeshield works with you on this important first step. Let us help you create the perfect design that will compliment your home with our free in-home consultation including a written quotation and 3D drawings. The photos above are from a recent project we completed for a client for an insulated gable roof Redcliffe. 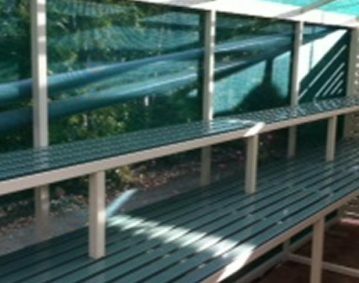 We are the only patio and deck builders in Brisbane who help you get exactly what you want by creating the ideal patio to suit your needs. Homeshield is small enough to offer you a high level of personal service and a custom build, but we’re also big enough to provide you with the benefits of years of experience and the cost savings of our buying power. Whether you already have an idea in mind or are starting from scratch, we custom design an outdoor space to suit your property. 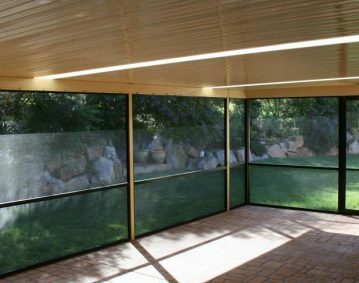 So if you’re looking to make a change to your home, entertainment area or roofline, get in touch with Homeshield Patios and Decks today. Call us on (07) 3216 2799 or enquire online now.